Sign up for free and just shop with Preloved as normal. Our average member earns over £300 cashback a year. Cashback is only avaliable on the first new advert placed, and not any subsequent adverts. 3 months full membership for £1! Get 3 months full membership for £1, that's 33p a month! Preloved cashback can be earned simply by clicking through to the merchant and shopping as normal. Preloved Cashback is available through TopCashback on genuine, tracked transactions completed immediately and wholly online. Cashback may only be paid on the net value including VAT all other taxes and surcharges, any additional costs such as delivery are excluded. Whether you are buying or selling second hand goods, you can do so for less with our Preloved cashback offers when using the online marketplace. As one of the biggest classified advertising sites in the UK, you will discover hundreds of thousands of adverts in more than 500 categories. There are no selling or listing fees, while if you are looking to buy something, items are listed by location, meaning you will be able to find products and services close to you. Register for free and sell your unwanted items to make some money or extra room in your house, or shop for bargains. 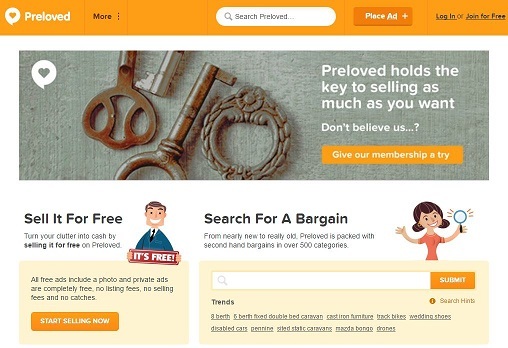 Preloved is a great alternative to auction sites, while they offer a fun and friendly experience when compared with other classified ads and selling sites. Join their Rewards Club and take advantage of some superb offers, while you can upgrade your membership to gain access to additional benefits. 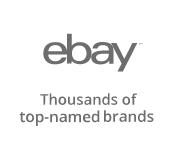 You can buy and sell a whole host of items on Preloved, from a property, car or holiday to clothing, books & games and scrap metal, while you can also search for services like skip hire. Get trading in furniture, computers, pets or home entertainment items for the whole family by searching products put up for sale by other dealers and making a purchase or offering something of yours. Search items in your local community by entering your town or postcode, or by clicking on one of their popular locations. Filter results by era if you are after items from specific years or click on their 'Free Stuff' section to see items which are being given away. If you are listing an item, they can offer you guidance about what to include in your description and other useful tips. While you can sign up to Preloved for free, if you upgrade to full membership for £5 per year, you will be able to take advantage of additional benefits. 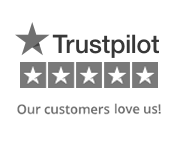 As a standard registered member, you can sell items for free and include a photo, choose to receive new adverts straight to your email inbox, take part in forums and write member reviews, but you will not be able to reply to the very latest adverts. However, upgrade to full membership and you will be amongst the first in line for a bargain as you will gain early access to the most recent adverts. Advertise your business on Preloved and you can list up to 100 advertisements for £20+VAT, without having to worry about listing or selling fees. Another benefit is that you are not tied in, meaning you can cancel your business subscription at any time. As a business member, your adverts will have navigation bars, while all other advertising will be removed, ensuring your ad will fill the page. You will be able to add an unlimited number of photographs to your advert and make use of an interactive slideshow, while you can include a link to another website if you want to provide sellers with more information. Create video ads by embedding YouTube or Vimeo footage into your advert to give buyers a better and more in-depth view of what you are selling, while you can decide whether you would like to receive enquiries by email, telephone or use adverts to drive traffic to your own website. Preloved's Rewards Club offers you exclusive deals thanks to the fact they have teamed up with some great partners. You can book accommodation from just £29 per person with Britannia Hotels and enjoy dinner, bed & breakfast and late checkout, while if you are planning your summer holiday, you can read up on potential destinations and get 50% off ebooks from Lonely Planet. You can also save up to 20% off compatible ink cartridges and 15% off stationery with Cartridge People, while you can eat for less thanks to 50% off tasty meals from Gousto, with no minimum spend required. Log in and you will see if your membership entitles you to take advantage of these great offers.